The picturesque home at 306 Tom Watson Lane, inspired by British Arts and Crafts architecture, enjoys filtered views of a tranquil pond just beyond its in-deck infinity pool. Here, year-round outdoor living is just outside the back door, with a spacious covered porch and deck on two levels. In the summer, sip a cool drink on the pool deck; in the winter, cozy up around the stone outdoor fireplace with a cup of hot chocolate. Recently built with high-end finishes, this beautifully landscaped home is tucked away in a quiet spot inside the gated Kiawah Island Club community of Cassique, and yet it’s just a five-minute stroll from the Tom Watson-designed Cassique golf course, the Club’s new high-tech Golf Learning Center, and the clubhouse with fine dining inspired by consulting chef Tom Colicchio of BravoTV’s Top Chef and New York’s Gramercy Tavern and Craft restaurants. Inside, the spacious interiors feature high ceilings, wide-plank hardwood floors, and beautifully done white trim. The living room with white coffered ceiling beams and striking fireplace overlooks the peaceful view through a wall of glass windows and doors. It’s open to a light-filled dining area lined with tall windows on two sides, itself open to a gourmet kitchen where a peninsula with prep sink offers extra seating for four. With professional-grade stainless steel appliances including an undercounter microwave, windows over the sink, a pantry for extra storage, plentiful counter space, and a custom tiled backsplash behind the Wolf® cooktop, oven, and hood, the kitchen will delight any chef. Also on the main level is a private, spacious master suite with transomed windows on two walls, soothing colors, and a spa-like master bath with his-and-hers vanities painted in pale coastal blue and topped with white marble. Generous trim lines the walls, and there are windows above the large soaking tub and frameless glass shower with handheld showerhead. Take the stairs in the two-story foyer or the elevator to the second floor to discover more bedrooms, a full hallway bath, and French doors opening into a study with library bookshelves and an additional sitting area perfect for a media room or extra entertaining space. Additional features of this lovely cottage include impact-rated windows and doors, irrigation and sound systems, and a tankless water heater. 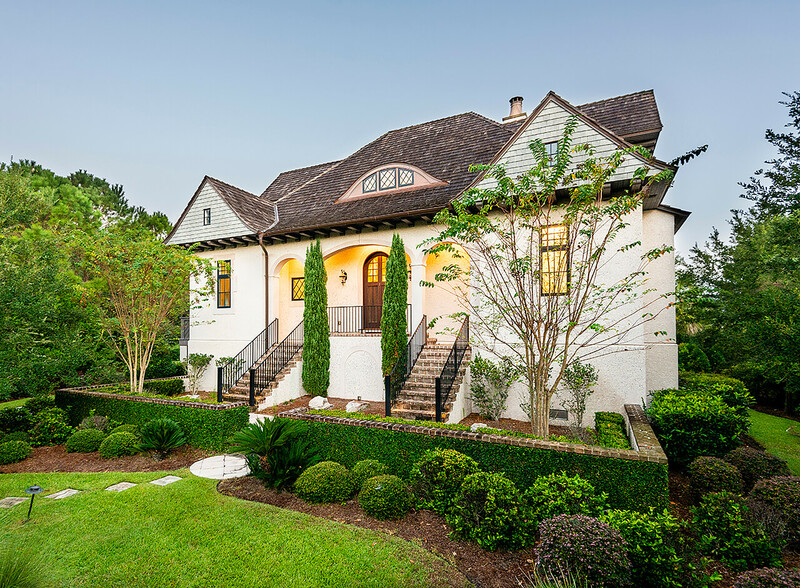 A Kiawah Island Club Sports Membership is available with the purchase of this home.